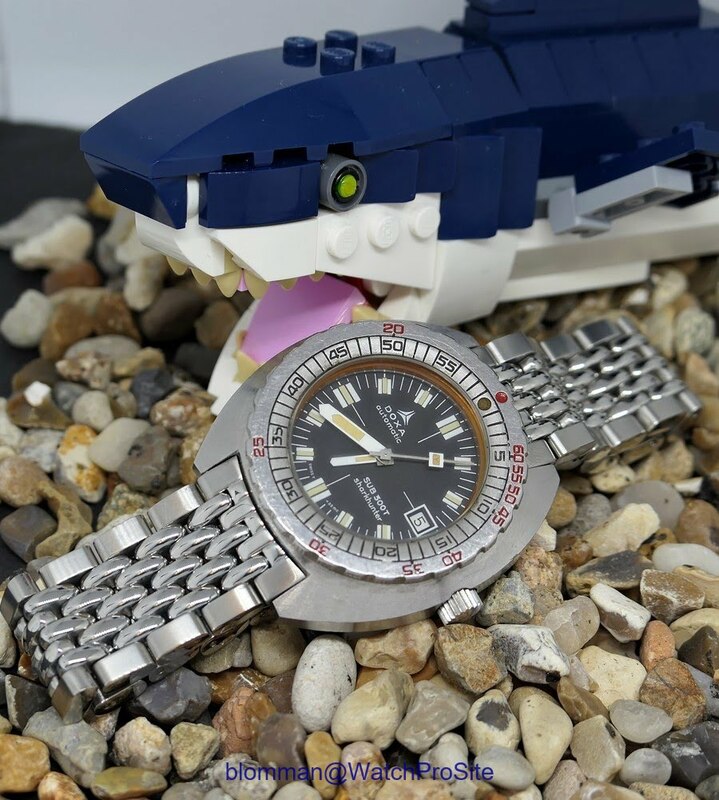 This time the Doxa SUB 300T Sharkhunter. 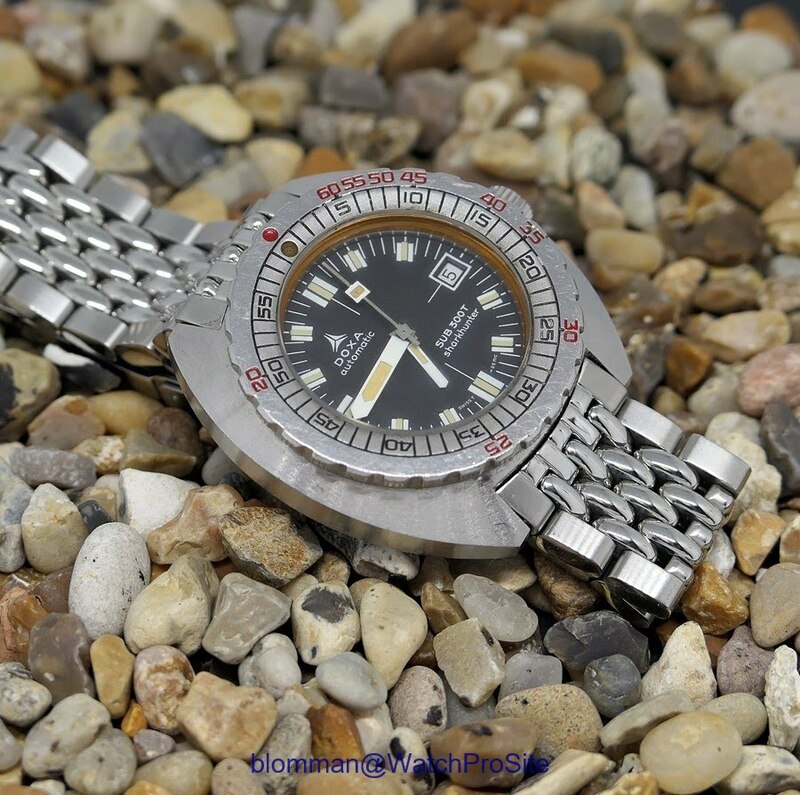 The Synchron version with meter on the bezel instead of feet and without the Aqua-lung. 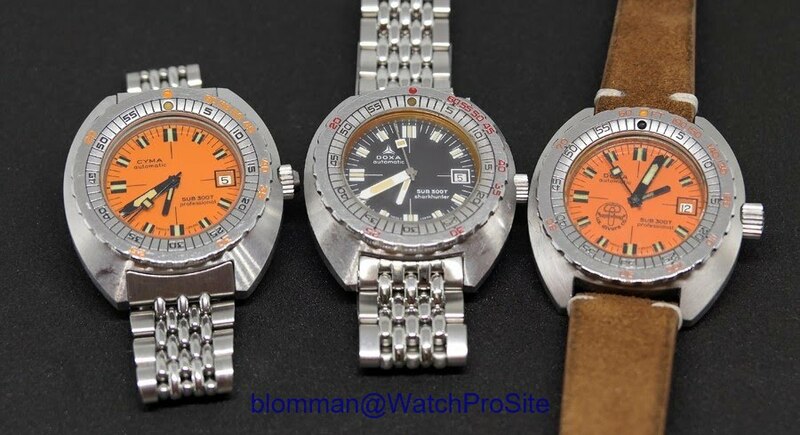 If I understood Bill correctly, this must have been a watch for the European market hence the meter scale and missing Aqua-lung/U.S. Divers Co.
Once that is done, I guess it will be time to go into details! Yes, only time will tell what this year will bring..! A real “tool watch” brand... built for purposes and a great watch. That’s what I like about it, no compromise. Bravo, Blomman. Nice triplet yo got. Well done on the cool shot. I see you have other hobbies and toys than watches!